06 February 2012 21:16. "We would be interested in having either of our two new DACs reviewed. 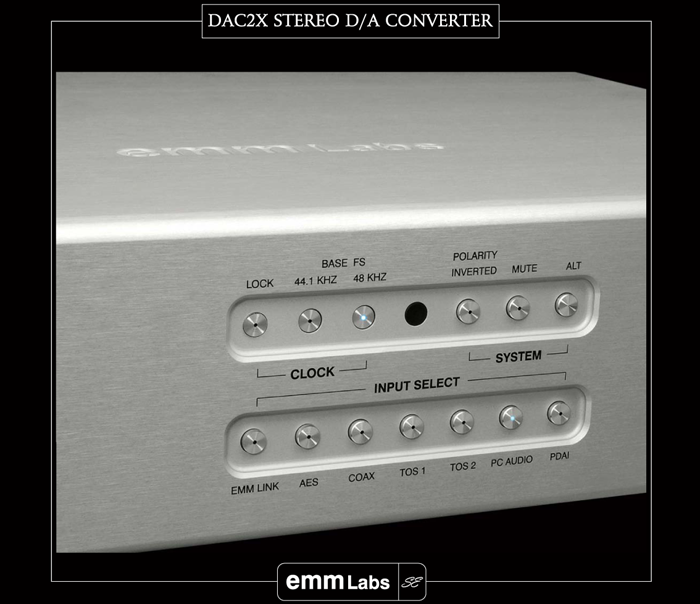 We just released the $15.000 EMM Labs DAC2X Reference digital-to-analog converter and the $7.000 Meitner MA-1 DAC. EMM Labs*1 is where we develop our cost-no-object projects. It's also where Ed develops all the latest technologies for upcoming and reference products. EMM Labs uses a lot of custom-built proprietary parts, ceramic circuit boards, hand-chosen matched discrete electronics and other custom tech. Meitner Audio is where we use EMM tech to develop more affordable products by streamlining production and using high-quality components. All products, technologies, DSP, power supplies, circuitries and D/A converter modules are manufactured and assembled in our Calgary/Canada facilities. Nothing is off the shelf. Everything is designed and built by Ed Meitner and our talented host of engineers and programmers. *1 Like Weiss and dCS, EMM Labs enjoys strong support from mastering engineers and recording studios. Additionally Ed Meitner's involvement with Philips and Sony and the DSD standard is well documented. He is regarded as one of the preeminent engineers for audio-based D/A conversion. Most commercial DSD productions are mastered with Meitner-designed equipment. Earlier audiophile Meitner products were branded Museatex and Melior. There's also been a spin-off by former digital EMM Labs contributor Andreas Koch who has since launched the Playback Designs brand. 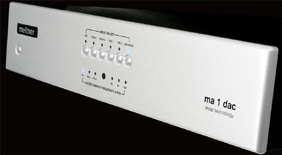 The MA-1 converter actually launched the new Meitner Audio brand. There's full 44.1kHz to 192kHz support on six digital inputs: 1 x XMOS XS1-L1 asynchronous USB 2.0 (no transformer/opto-coupling but with a Thesycon Windows driver); 1 x AES/EBU; 2 x Toslink; 2 x coax. There are 4.6/2.3Vrms analog outputs on XLR/RCA. Inside this machine incorporates a number of proprietary modules. MFAST, MDAT, MDAC and MCLK is how the trademarks refer to them. MFAST's Meitner Frequency Acquisition System combines an asynchronous digital receiver, data buffer and jitter suppressor without the ubiquitous single or dual PLL. MDAT or Meitner Digital Audio Translator refers to the automatic upsampling of all PCM signal to 5.6MHz or twice the DSD rate. The actual converter—one per channel—is Ed Meitner's own dual-differential discrete chip. The basic remote switches inputs. 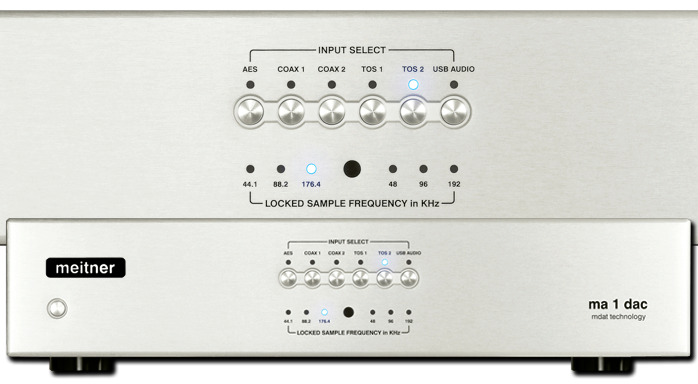 The single nano-tech non-crystal master clock auto-switches between the 44.1/48kHz time bases for claimed sub picosecond jitter. The output buffer is a single-stage discrete and DC-coupled class A affair. There's a credit card remote for input switching (no volume, no polarity inversion); a USB service port for future software upgrades; and a serial port for a wired remote control. In a sophisticated nod to detail execution the switch-mode power supply frequency locks to the DAC's master clock. This PSU includes power factor correction and accepts from 90-260V inputs at 50/60Hz. Max power consumption is 50 watts, output impedance is 300Ω and 150Ω on XLR and RCA. Dimensions are 435x400x92mm WxDxH, weight is 7.43kg. These are the basics the company literature covers. With a price differential of $8.000, inquiring shoppers of course want to know what distinguishes the DAC2X under the EMM Labs banner from the MA-1 under the Meitner flag. Usual assumptions would suspect a beefier power supply. The eyes recognized a more luxurious enclosure. Specifications already talked of exotic ceramic PCBs. In general one also expects costlier parts. Yet the critical and proprietary M™ type modules and output stage seem shared. Would this flow the lion's share of performance into the trickle-down model? I asked Shahin to get more specific on the M™ modules, itemize the model differences and comment on the company's assessment of the performance gap. Here the reply was sparser than desired but realistically evasive given intellectual property protection and marketing*2. "The DAC2X is made with a lot more proprietary and specially made parts which are hand-selected and matched. 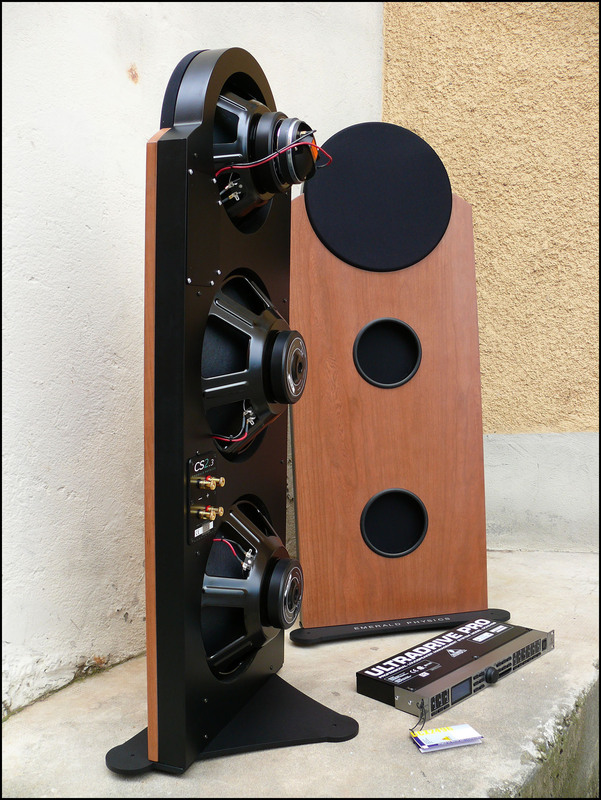 It uses a large custom-made ceramic board for our analog, clocking and discrete DAC systems and the more advanced PSU with increased sub-system filtering and of course the all-machined chassis and remote. It also has our proprietary EMM Optilink system which galvanically isolates the DAC2X from our matching TSD1 CD/SACD transport. "MFAST's actual buffer size is only a few milliseconds and an asynchronous digital-sampling receiver. It is a proprietary system designed by Ed. As far as I know we are the only ones employing such a system. The XMOS USB module is buss powered and not galvanically or optically isolated but we don't clock the XMOS in a conventional way. All our digital inputs are asynchronous by the way. 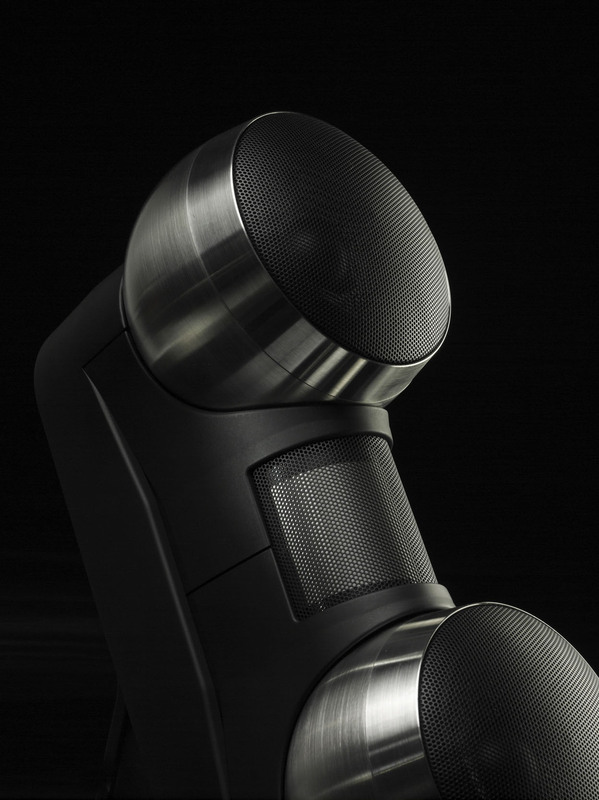 This means the MA1's main system is asynchronous even from the output of the XMOS subsystem. That of course is done to dissociate the MA1 from exterior jitter including the USB audio host. The heart of MCLK is specially manufactured for EMM/Meitner with a sub-pico second jitter time base. The nano-tech aspect of the technology is the micro-machined tuning fork. The entire analog audio path including the MDAC itself is discrete dual-differential class-A. 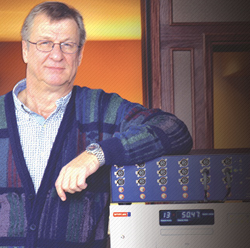 MDAC is Ed’s proprietary 5.6MHz discrete DAC design based on his three decades of work designing digital audio systems. In combination with the MFAST front end and Ed’s MDAT DSP 5.6Mhz up-converter with real-time transient filtering, it makes our converters pretty unique (and us a little crazy). Our own in-house designed SMPS offers higher isolation, superior regulation, green efficiency and is sonically vastly superior to the best linear supplies we could build. 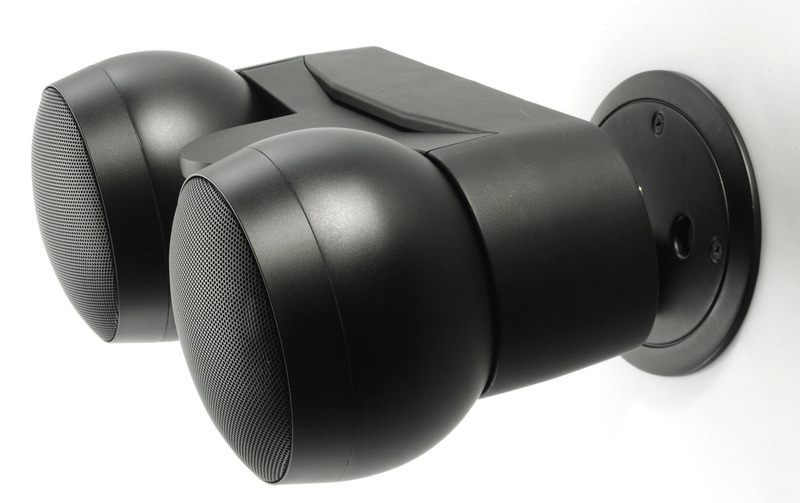 Power consumption is a low 20 watts so most users tend to not turn off the MA-1." *2 One of Ed's technicians explained in an email how the innocuous-sounding ceramic circuit boards in the DAC2X are actually "major contributors" to its superiority over the MA-1. Without divulging details he stated that the effects of using these boards "cannot be achieved with circuit wizardry, are not measurable with today's finest test equipment yet are readily apparent to the ears of most humans. Today there are ceramic board materials not as astronomically costly as those of 20 - 30 years ago but they're still prohibitively more expensive than ordinary glass-epoxy circuit boards." Personal context. My computer audio use has evolved to the $3.000 April Music Eximus DP1. It's become my converter of choice. At over twice its cost, the MA-1 thus stretched sonic expectations. Compliments of a very generous friend I also have an Alex Peychev-rebuilt Esoteric UX-1 in NWO-M form. Whilst that retains the absolutely massive original Japanese VRDS transport, it strips out most everything else. It runs twenty AKM 4399 DACs per channel at 195kHz/32bit, upgrades the original DSP board power supply, adds a third transformer with 17 regulators, replaces the clock generator and adds a dual-differential Lundahl transformer-coupled E182CC output stage. My massively paralleled Peychev DAC can be externally accessed via its built-in OEM hiFace async USB input; or a BNC digital input. To leash the latter to my iMac I can run either the XMOS-based April Music Stello U3 or proprietary-code Audiophilleo 2 D/D converters (USB in, coax/BNC out); or the Weiss DAC2 or Antelope Zodiac Gold (Firewire or 32bit/384kHz USB 2.0 in, coax out). In the modded UX1 I had my 'above-Eximus' comparator. On price the NWO-M's after-market DAC section should be considered at least equal if not senior to the Meitner to make for a natural or slightly more upscale competitor. One feature the MA-1 lacks is volume. The NWO has hybrid digital/analog attenuation via a re-coded Sony wand. The $3.995 Canadian Resonessence Invicta DAC runs Sabre's on-chip digital attenuator. My €2.995 Bulgarian Zodiac Gold uses a remote-triggered relay-switched analog resistor ladder. The Eximus has a quality carbon-based pot. Here the MA-1 is resolutely just a DAC. Preamp functionality is left to preamps. On DSD and computer audio meanwhile, Playback Designs already offers 6.1MHz DSD over USB. Meitner's MA-1 does process PCM signals at DSD speed—actually twice that—but cannot decode actual SACD data from computer sources. Or so it seemed. "We are working on DSD over USB. The new software is currently in testing to be released very soon. The MA-1 unit you receive already will have this new software loaded. We are simply wary by design with any such newly minted functions and would like to take a certain amount of time to test all features before any public release and also prepare update documentation for proper deployment. You can use Pure Music to play out DSD files to the MA-1."